Bespoke and custom wall murals from Concept Coverings. 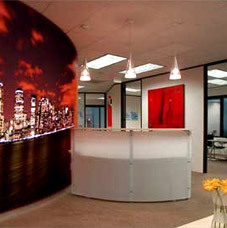 We design and print custom Wall murals for the office or the home. Bespoke and custom wall murals for the office or the Home. Order your wall mural online today. Now the only limitation you have for your walls is your imagination with our facility to print bespoke and custom wall murals. Send us your image to design@conceptcoverings.co.uk and we will transform it into your very own bespoke / custom wall mural. The process is very simple. email us your design and we will send you and image and a proof of what your design will print like for colour and also for clarity. 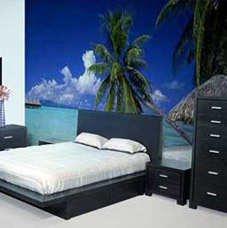 Once you approve your custom wall mural, we will start to print. Because bespoke wall murals are so large we supply them in sections. We label them up and it is easier that ptting a jigsaw puzzle together. For hanging your unique wall mural, use normal wallpaper paste mixed for the thickest paper. Always follow the manufacturers instructions on the packet. Your custom wall mural needs no post treatment. Just look after it and it will bring you years of joy. For a quoute on a custom / bespoke wall mural, email design@conceptcoverings.co.uk today or fill in this Contact Us form and we will call you right back!! Unlike any other product, Digimura both meets and supersedes industry regulations, boasting a tried and tested Class O as defined in Building Regulations 1991, and Class 1 to BS476 part 7. Digimura Wallpaper is available in a satin non-textured finish and an embossed linen-effect finish. It is a remarkably easy paste the wall, not the wallcovering product that is as durable as it is flexible, and it is set to take the creative market by storm, change the way you think about dressing a public or commercial space with digital imagery and transform the art of wallcoverings. Bring those old photos back to life and have them printed as a wall mural for all to enjoy. email design@conceptcoverings.co.uk or phone 01254 680266 and we will quote you for the work and provide you details on how to pay. Concept Coverings will turn any picture into a bespoke or custom wall mural. Have all those special occasions put into a Bespoke Wall Mural. Weddings, your childs first steps or even hand paintings. Have them all made into your very own custom Wall Mural. Wall Murals are £45.00 per Sq/m printed onto Digimura substrate at 1.250m wide.